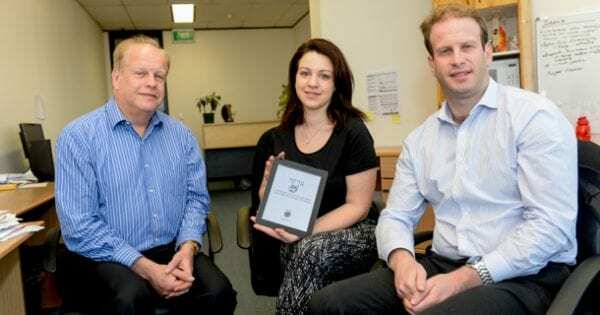 The Jewish religion differentiates between charity and tzedakah and the latter has always been considered obligatory…and this generally forgotten cornerpost of Judaism is now set to reappear in the mainstream community thanks to an iPad/iPhone/Android app developed in Sydney. 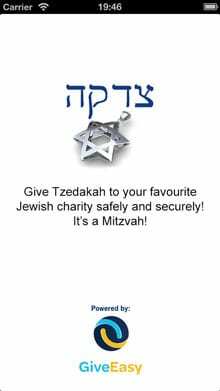 The Tzedakah app allows its user to donate to a choice of Jewish charities on a regular basis with a once only registration of its owner’s credit card details. The initiative has been launched in Australia but the development team of Jeremy and Jeffrey Tobias and Stacey Mano hope to overcome international financial online financial hurdles and see their brainchild in use throughout the Jewish world. The idea is an offshoot of the Tobias’s Bondi-based GiveEasy business which allows iPhone and Android users to donate money to national charities such as the Salvation Army and the Smith Family. But according to tradition Tzedakah is not charity. Charity is considered to be a matter of choice whereas Tzedakah is traditionally given as a duty at synagogue services, major festivals and celebrations and events. Donors can commit to sending the same amount on a regular basis automatically or make one off donations. Giving “in sadness” (giving out of pity): It is thought that Maimonides was referring to giving because of the sad feelings one might have in seeing people in need (as opposed to giving because it is a religious obligation). Other translations say “Giving unwillingly. The Tzedakah app developers believe that it will give countless Jews an opportunity to reconnect or strengthen their existing connection with one of the world’s oldest religions…and help countless needy people in the process. The Tobias operation is a strictly not for profit company and they welcome qualifying organisations from Australia to avail themselves of the apps capabilities. JCA Chief Executive Officer Ian Sandler said that the app was another way to strengthen communal giving for JCA’s 22 member organisations and urged donors that have not already done so to support the 2013 community campaign.